Commentary: The Dewback with Sandtrooper is a must-have. The trooper itself isn't the best thing you've ever seen, but it's good enough. The Dewback seems like someone realized Hasbro was charging too much for the toy and decided to take full advantage of the price point with far more moving parts than you need. 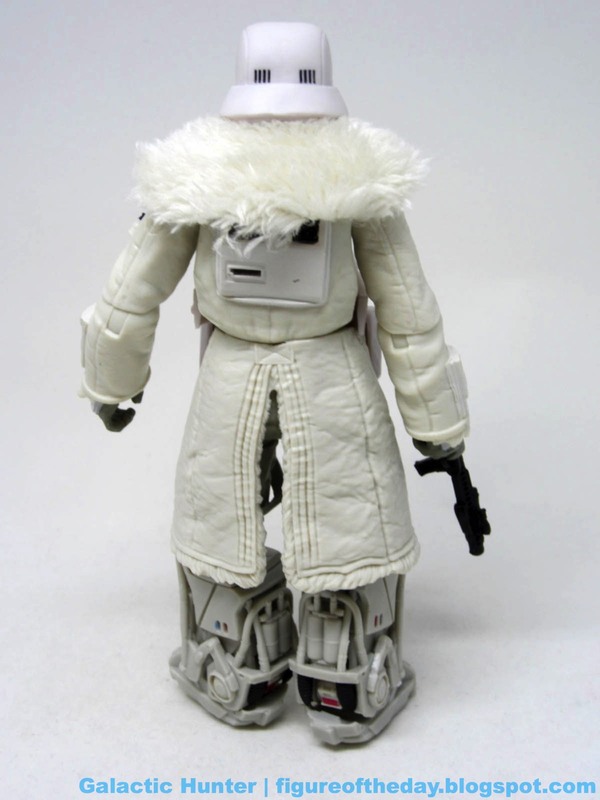 The Han/Tauntaun and Luke/Wampa sets were $40 but you could see where Hasbro cut a few corners to deliver at the price - and they did a great job, too. 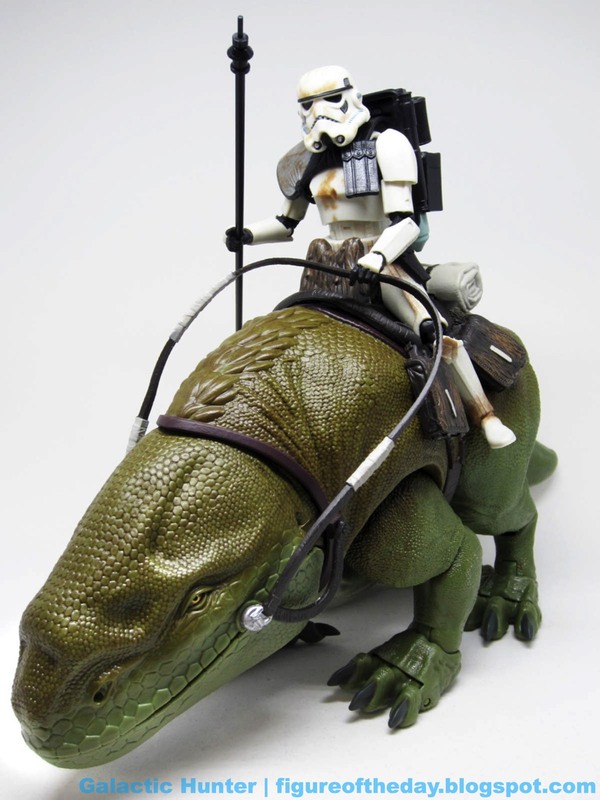 With the Dewback you can tell they just went for it, and we are all winners as a result. 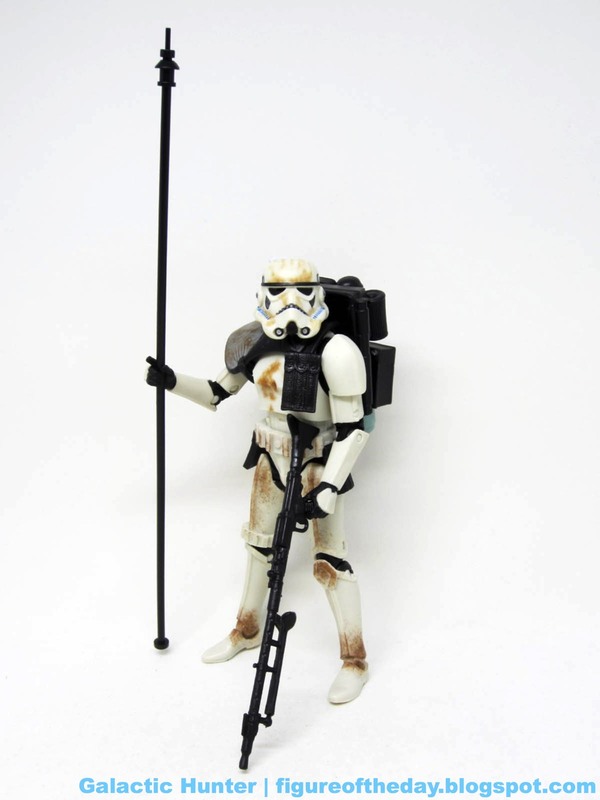 The Sandtrooper is a new or changed mold, built on the design from the previous troopers. This time it has a grey, dirty pauldron that matches the kinda weirdly dark brown stains on the armor. 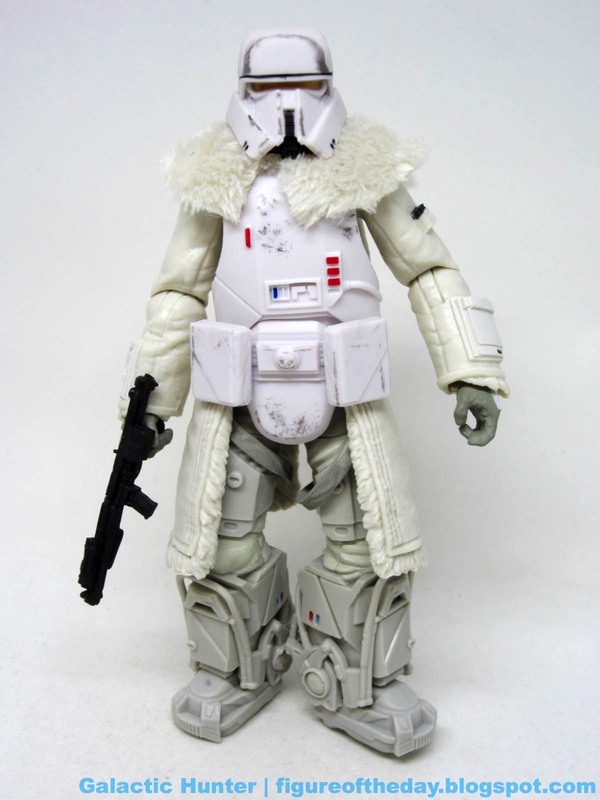 The armor itself doesn't match the others - they're white, this is an off-white, almost pre-yellowed look. 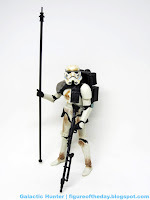 The older Sandtroopers were stark, opaque things while this has a hint of transparency to it. On a shelf together, this one looks like it doesn't quite fit - its joints are a little smoother and easier to manipulate, and the legs spread out a bit wider to fit on the saddle. The fingers are incredibly tight, difficult to wrap around the bridle or a rifle. 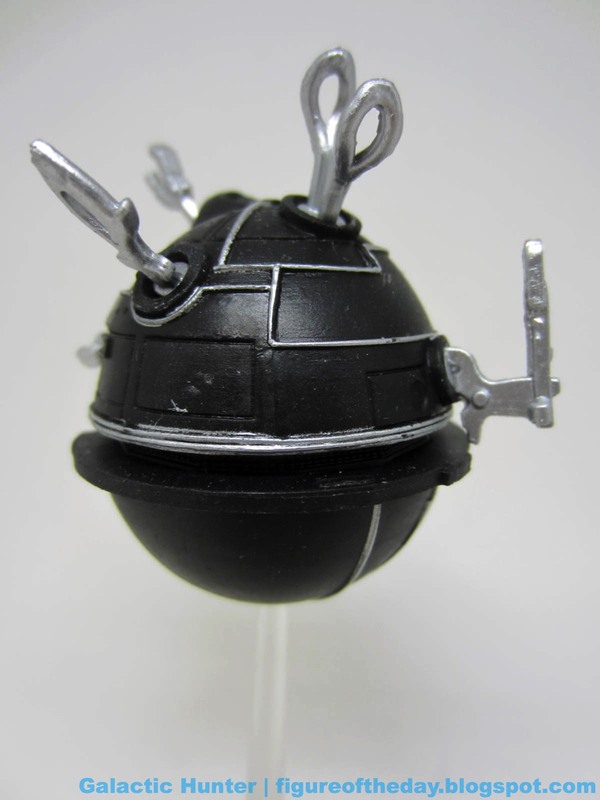 The torso is sculpted a little differently here, with some elements being relocated or in different shapes. Little circles are bigger, boxes are a bit more bulky. 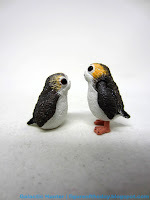 It's not the same piece - but it's close. 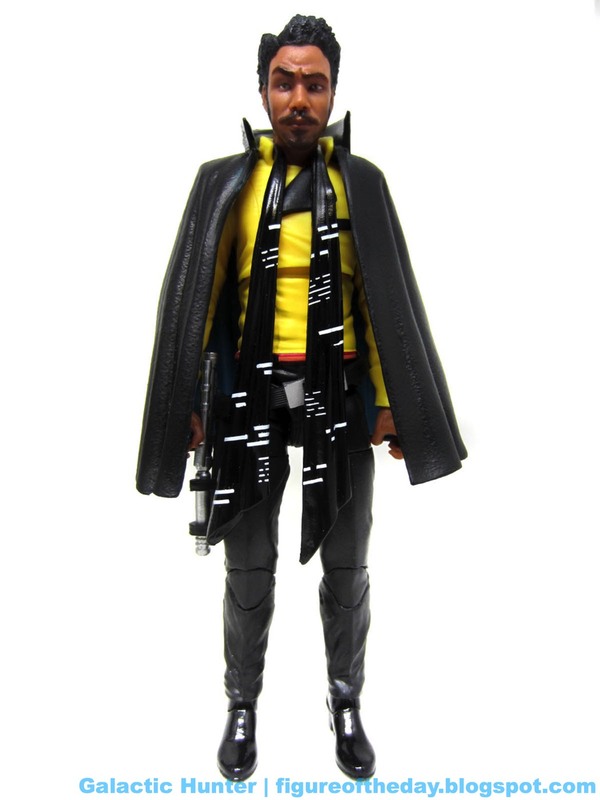 The belt also looks a bit different, making this a surprisingly altered mold for some reason. I don't know why they'd do it - it's better than the old one as range of motion goes, but only barely. The decals on the helmet are changed a bit, with the cheek grey symbols having vents this time. The black outline on the "ear" grey bits have been dropped. 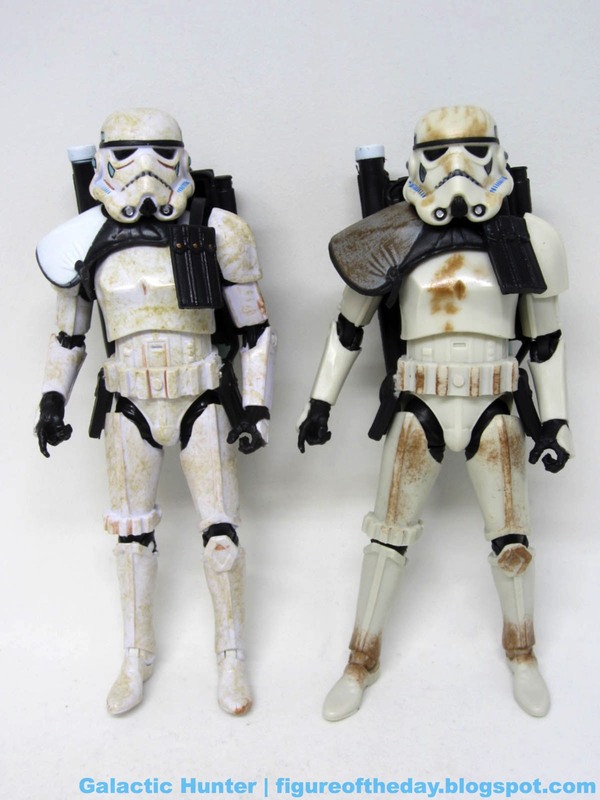 I doubt you'd notice unless you live and breathe trooper variations, but this sort of thing and missing button deco on the ammo pouches are the kinds of things that stick out in a side-by-side comparison. 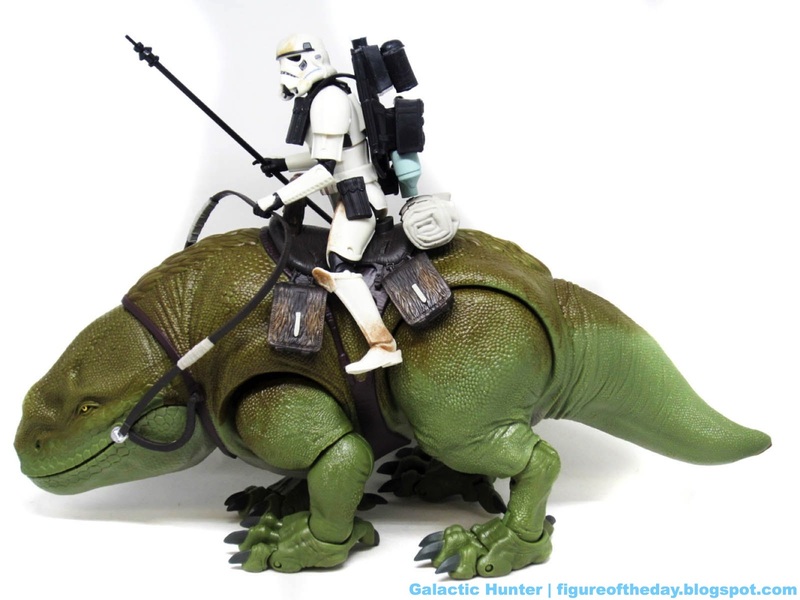 The Dewback itself is a bizarre triumph, mixing new and old versions of the creature. There are jointed claws. There are rocker ankles. The front legs have lateral joints. The tail moves. 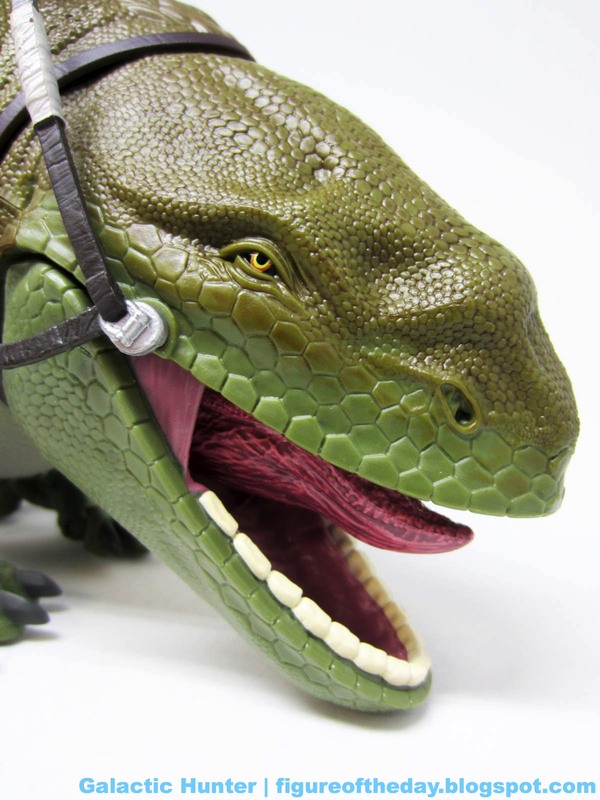 The mouth opens, and there's an articulated tongue. It's good. The sculpted detail seems to lean heavily on the old Kenner toy with feet that don't quite seem to be the chicken legs of the special editions, but they don't match any existing incarnation perfectly. 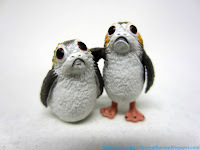 It's a new thing, and it works - the head and the mouth are so close to the original Kenner toy and movie puppet that most fans are going to just love it in spite of the stubby tail and possibly truncated proportions. It sort of hews close to Sideshow's design, but there's more going on here than that. The "hair" on the back isn't particularly convincing, but the overall design is good and I like it. 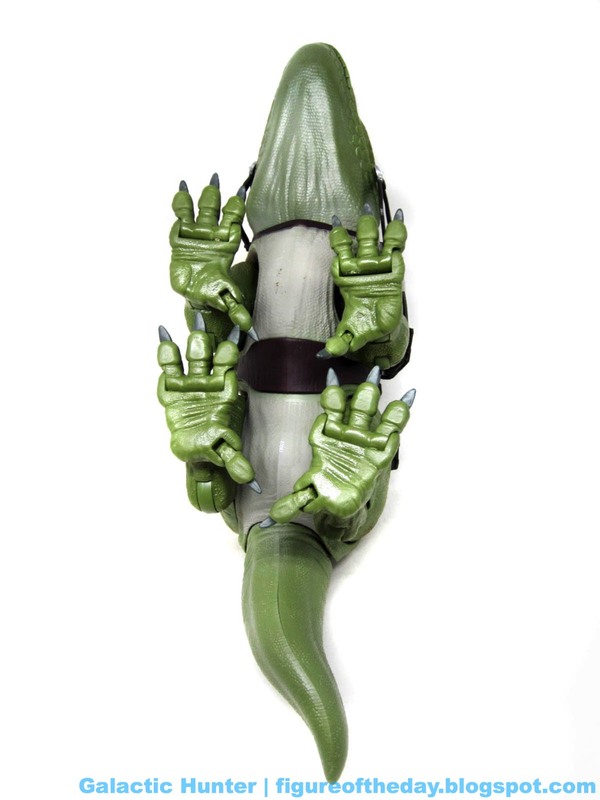 If you look at it as an interpretation of the movie creature rather than a perfect replica, it's a great display piece. In an era that calls for extreme authenticity, I can see some may find this upsetting. I dig it. We're probably only going to get the one Dewback, and it's nice Hasbro worked with Lucasfilm to give us all something that tries to incorporate multiple designs in a single piece. 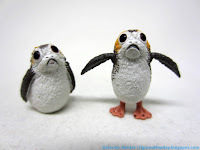 It's a weird creature, so it only makes sense that the toys continue to be a little strange too. 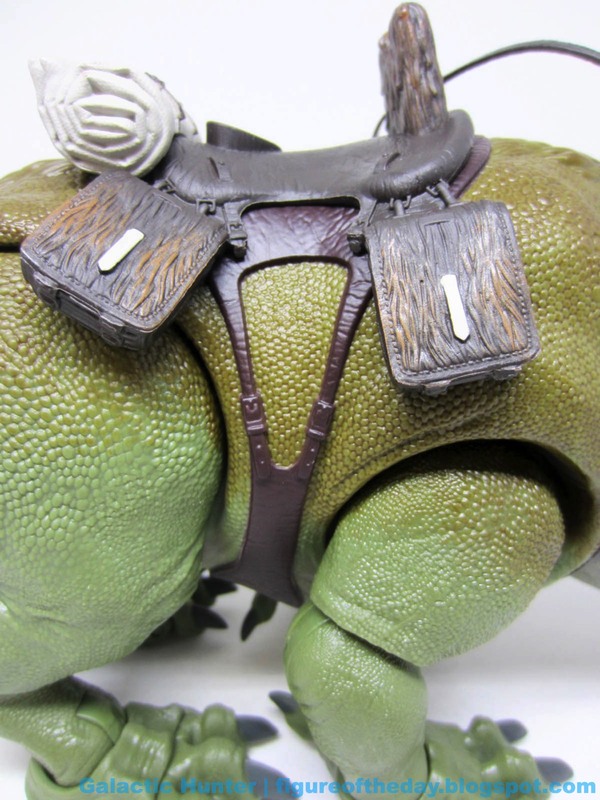 I like this bunches, and the sculpted scales are some of my favorite work on any Kenner or Hasbro toy. And I've got a lot of Kenner and Hasbro toys. 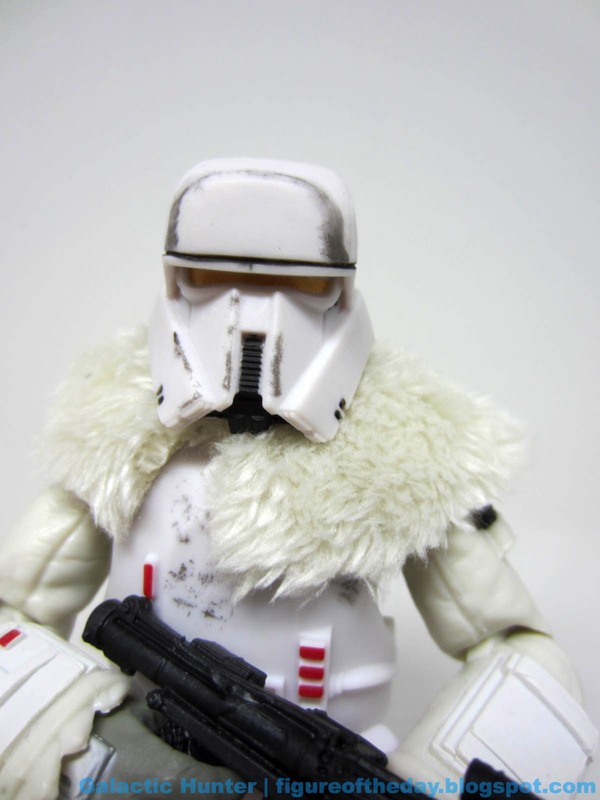 It's cooler than the Speeders and meatier than the Wampa and Tauntaun. When you get this in your hands, you can't help but be impressed by the abundance of scales and the classic head design. It's one of those toys that I could see being ran short and fans paying $100 for in a few years, happily, just because it's a substantially nice piece that you can play around with more than your average big creature. 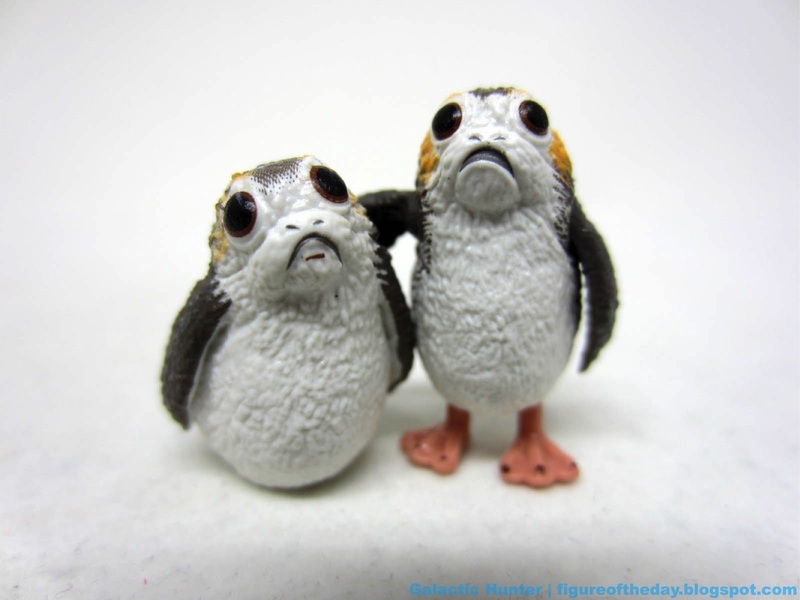 Also: what wouldn't I give for a Bantha in this scale. 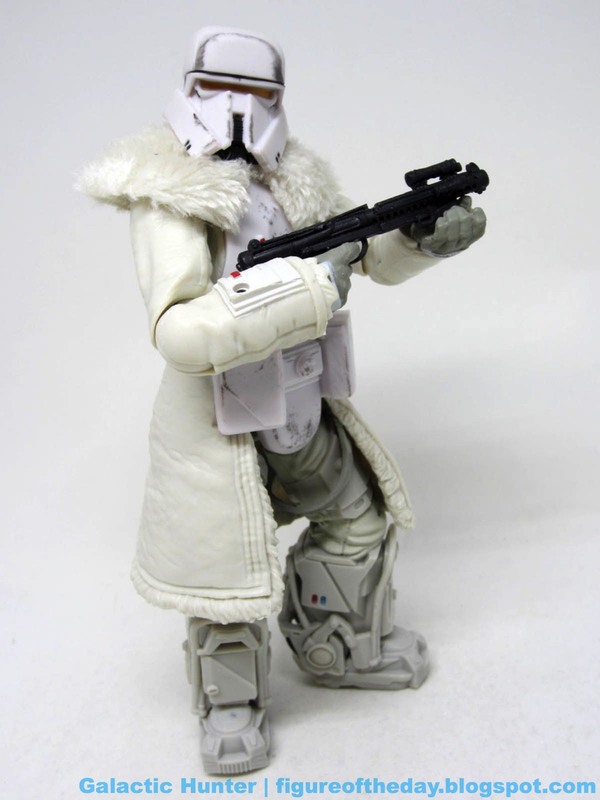 Commentary: The last figure I opened was the Range Trooper. 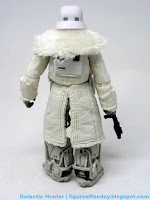 As of my writing this, I don't know what his deal is other than he looks like an upgraded Snowtrooper, which seems backward given the movie takes place before their first appearance. 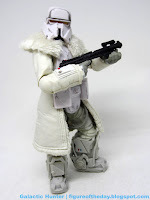 The chest armor and kama look similar to the 1980 movie's Hoth soldiers, but the other elements pull from a variety of inspirations. 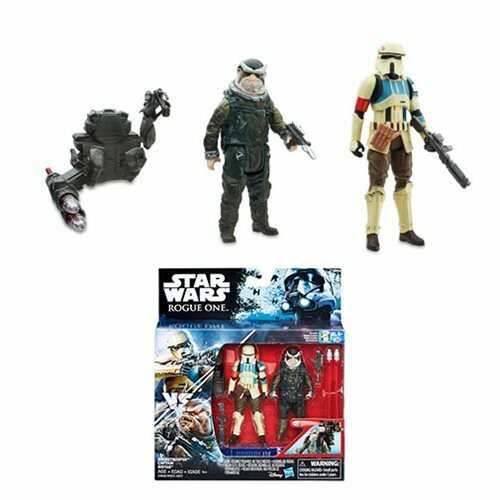 That helmet looks like some of the variants we've seen in Rogue One and Revenge of the Sith. 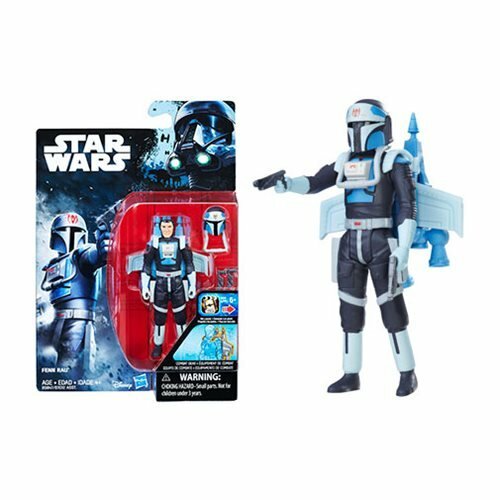 It's the first figure I've seen with a gold visor, and the code cylinders on his arms also seem like something I've never seen on a trooper before. 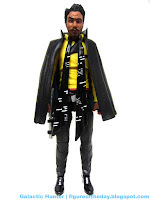 This looks more like a customized leader than a rank-and-file cannon fodder type, mostly because of things like that. 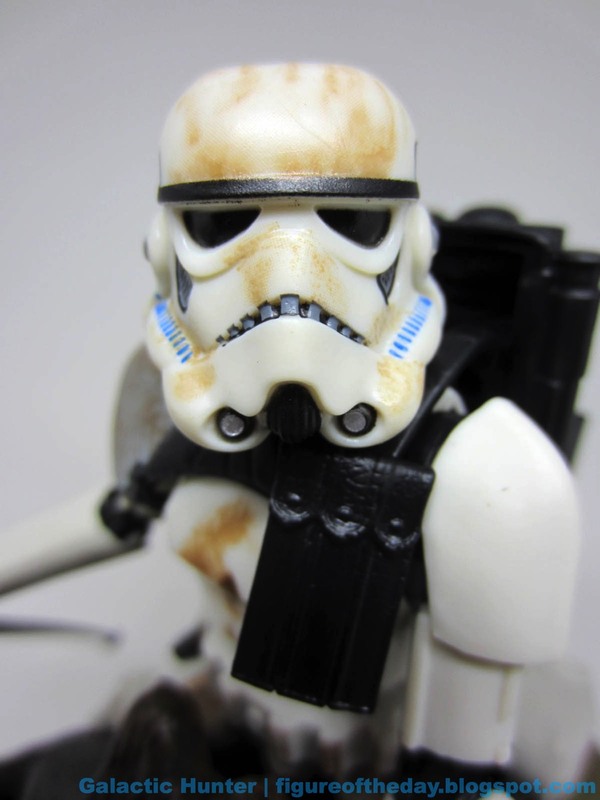 It has more personality than most troopers this side of the Grand Army of the Republic. There's a big furry collar that sits over his shoulders, and there's an indentation behind his helmet that looks like a plastic one could have been glued there at one point. I could see it fitting in - and it might have looked cool. The faux-wool-lined "skirt" looks great, with some of the best soft and furry texturing we've seen on this scale of figure. 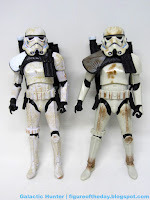 Padded layers, scuffs, and dirt indicate the trooper may have seen some action, with boots that look like some sort of cybernetic enhancement. 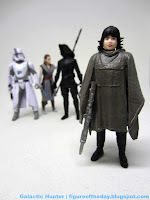 This makes them a little less stable as feet, but the boxy boots look different than anything we've seen on a humanoid Star Wars figure so far. They're also, sadly, clean and kind of boring in terms of deco. Scuffed paint or elements of grease would be cool, just to give us an idea of what they are and how they work. Little blue and red marks near the calf muscle look neat, but are easy to miss. Articulation is fine, but with a bulky figure he doesn't benefit from the range of motion on Han or Lando. Rather, the arms do get to bend more than the usual 90 degrees, but only just barely. The kama restricts leg movement, and the arms' bulk prevent it from looking cool when double-gripping the variant Stormtrooper blaster. You can get cool poses out of this guy, but it's not all it could be. I love its personality and general vibe, but it's not as finger-friendly as the other figures from the wave. Once I get a decent pose, I don't want to mess with it. Other figures seem to offer a lot of great options, while this one just isn't as well-crafted in terms of articulation. 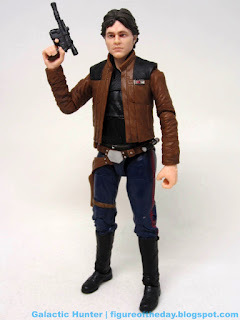 Deco and sculpting are still good, but the design may be at fault for making it less fun than young Han Solo, and I don't even assume I'm going to love young Han Solo once I see the movie. I hope so, though! It's good enough. If you're looking for amazing, look elsewhere - the budget went in to making you a good-looking figure. It's just not a lot of fun. Commentary: You need to get Grand Moff Tarkin. ...oh I need to write more? Very well. Reusing arms and legs from Grand Admiral Thrawn, Tarkin makes good use of Hasbro's new facial printing technique to get an increasingly lifelike look on this Peter Cushing figure. The outfit is more grey than green, and just feels "right." 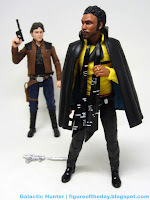 The only things I don't love - the figure doesn't include the better-range elbows we got on New Han and New Lando, and there are pin holes in his pants that are a little unsightly. Otherwise? Exquisite. The new facial printing makes up for a lot, and if Hasbro reissued the first few years of main characters with the new face paint you'd buy them all over again. 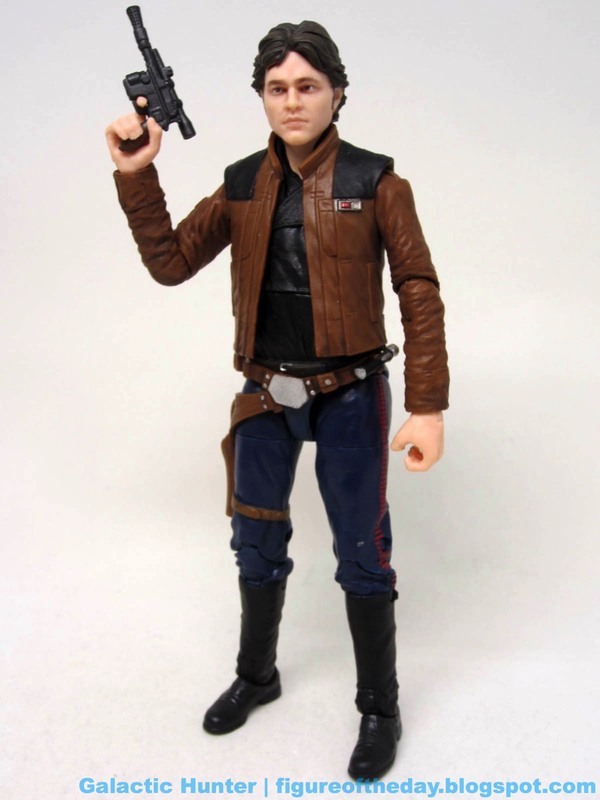 Seriously, who wouldn't throw down $20 for a revised Harrison Ford or Carrie Fisher? 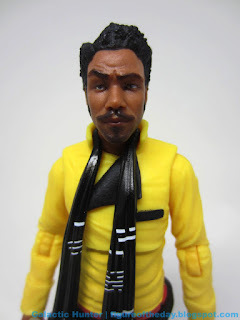 26 meaningful points of articulation await you, but he's not going to sit. So far that isn't a problem, the lack of playsets or vehicles for figures means they're just going to stand around and look cool. 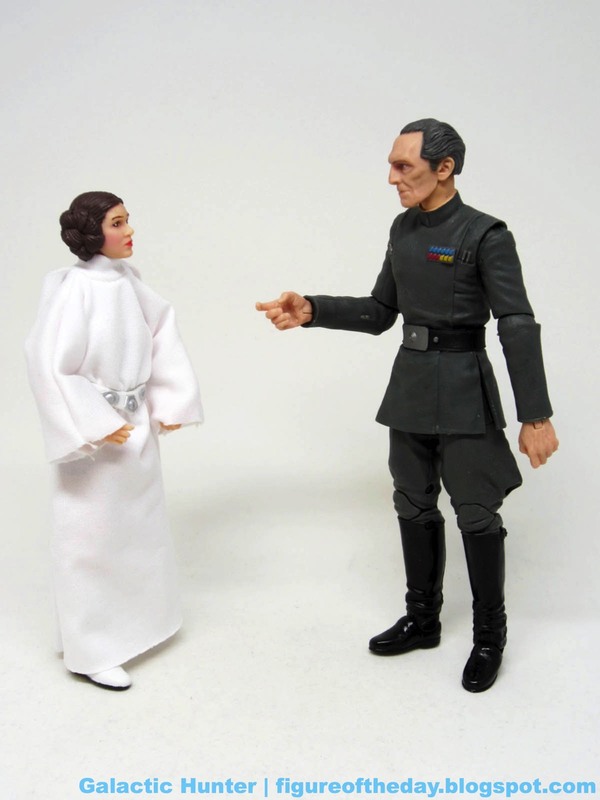 Tarkin can be posed to look down at Leia, or posed gesturing to his crew. 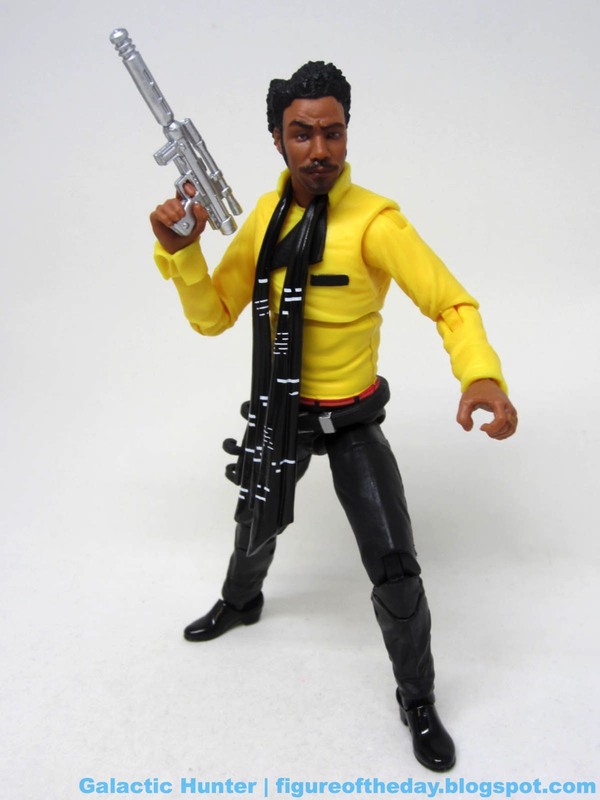 He's posed so he can hold a blaster, but includes no such weapon. He's even got separate trigger fingers if you're so inclined to give him a gun, but it's also kind of fascinating to think of what this means. For years we've been trained to expect almost every action figure has a gun or a sword - some weapon, anyway. 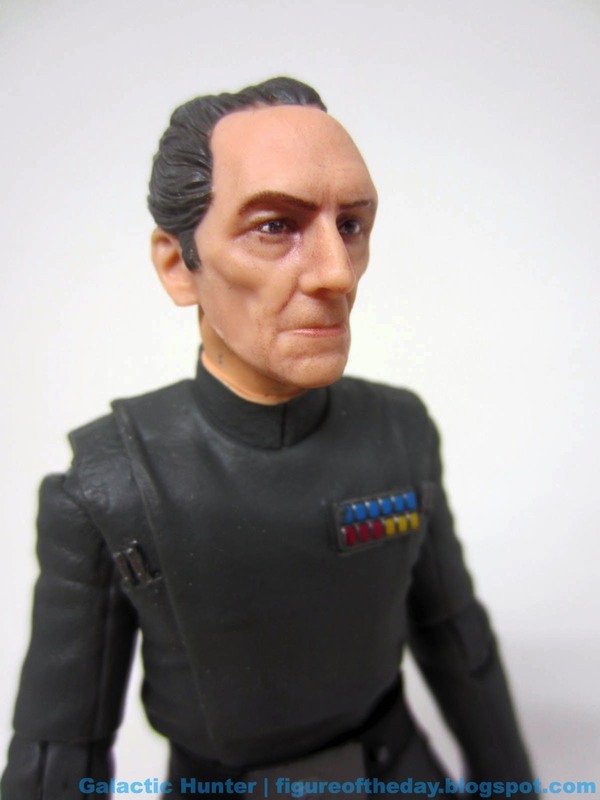 Tarkin doesn't. He's a bad guy who's old, grey, and intimidating as Hell. 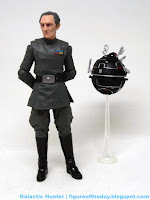 He has an extra accessory, but it's almost a separate figure - the man himself has everything he needs to impose his vision of order right in that head of his. 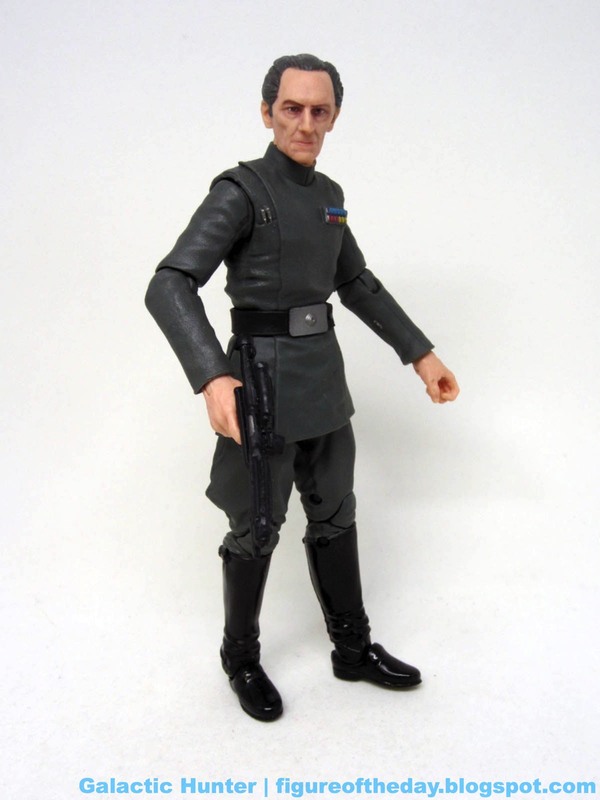 The likeness is stupendous, and while I assume Hasbro will have a better version in 20 years this i right up there with the high-end figures. Or rather, it's probably the best I could possibly imagine getting from an American toy company at any price, let alone about $20. The bonus droid is a fine bonus, but it's not perfect. Comparing it to the movie prop, a lot of deco is missing - some of which is pretty significant. The tools are rounded off or generally altered, shortened, or simplified. The syringe is all silver now, with no clear. The tongs are loops. It's good enough, but if someone got a license for high-end 1:12-scale replica parts this is something that could benefit from a do-over with differing safety standards and budgets. I'm not saying it's worth $20, but it might be if you want perfection. As a bonus with a $20 figure, it has a clear stand and a jointed base for "posing." It's really good, but a few pennies of paint this could've been way cooler. 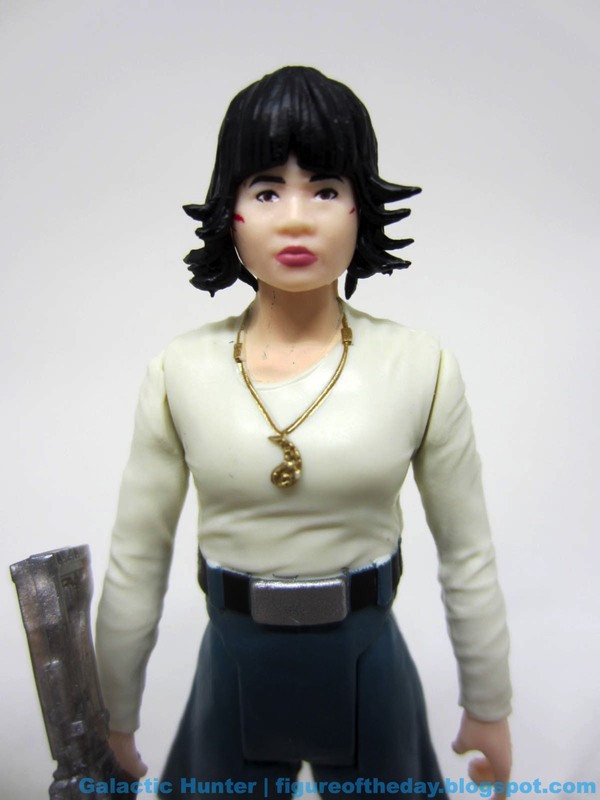 This is a figure for collectors, and you collectors are going to dig this. I'm sure it could be more perfect, but for the price point and overall quality I'm impressed. It's a real honest-to-goodness nearly perfect take on the character, and I'm glad he turned out well enough where I doubt any of us are going to demand a do-over. Pink slippers joke for SDCC goes here. Anyway, get one if you see it. Even if it's a few bucks extra, just get it. 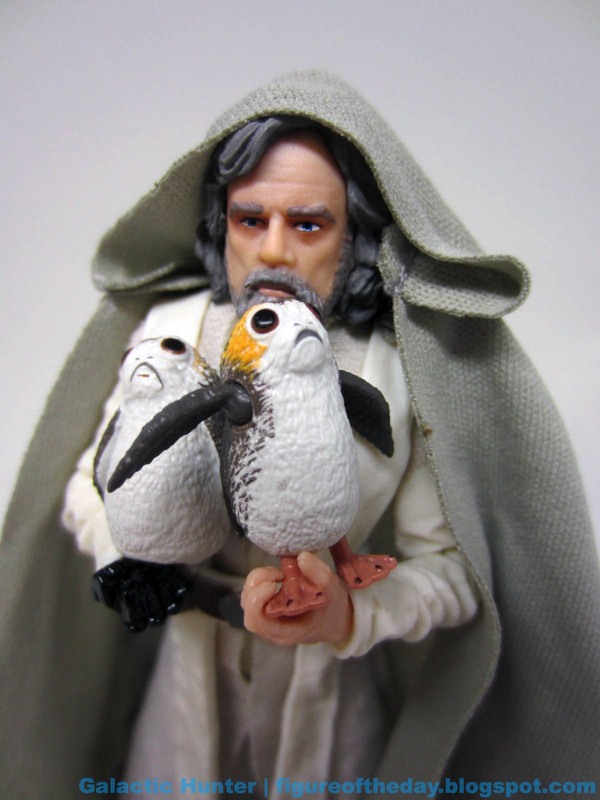 Commentary: The costuming in The Last Jedi really strikes me as odd - some people wear the same clothes as the last movie, some change in front of our very eyes! The Rose (Crait Defense) figure wears the poncho we saw in the Resistance Ski Speeder at the end of the movie, and by that I mean you didn't notice it at all. 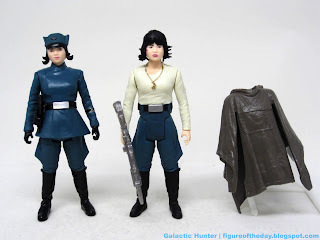 She went from a yellow speed suit to a First Order officer disguise to this. Well, it's basically the disguise - her boots and pants are First Order-issue, while the white undershirt was probably there the whole time. Why the poncho? I have no idea. Modesty? The poncho is brown with little slices in it so she can swing her arms forward. Each arm has a jointed wrist, and they're small hands unlike the meat paws we're used to getting. 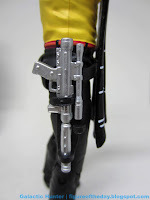 She can hold her blaster easily, and it's a gunmetal silver take on the black ones we got with the yellow outfit figures. The plastic poncho - oh, how I wish it was cloth - comes off when you pop her head off. Underneath you can see her necklace, and she looks great. 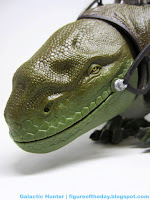 Nothing looks too out of whack, the head sculpt is good, and the deco is as it should be. What's better, she can sit! The legs can swing forward and don't stop at some weird angle. The hair is great, the face deco is wonderful, and she delivers a decent figure experience. I'm amazed they bothered to make this costume, and I assume they were hedging their bets that she might be a phenomenon. Like the movie, Rose seems to have received mixed reactions. I enjoyed seeing her on-screen, even if she and Finn were dorks. Hasbro did a good job with the figures in this line, even if you don't love the character choices. 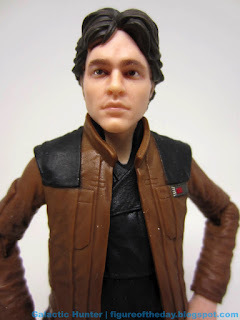 The texture is good, te paint is sharp, and the likenesses are so good you have to assume someone forgot to tick a box to get Harrison Ford's face 30 years ago as the reason they all look... close. But not exact. This is a good set for the money, and a last hurrah for the line's retail support as it transitions to Force Link 2.0. Commentary: The new head! 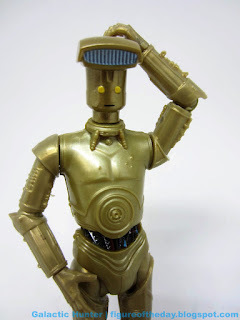 The Gold Vendor Droid needs to be reviewed - along with other droids - because that's why we're here. I know that. We've got a job to do! 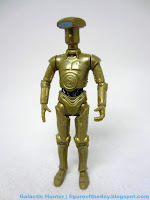 The dull gold finish is nice, with a C-3PO body in this sample being the vehicle for a newish head. The gold head looks good with yellow eyes and a silver... visor? Price scanner? What is that, anyway? The can head with a partial dustbuster hat is sort of out of place, but it's not like anyone has been good at giving us new droids in any sort of realistic style lately. 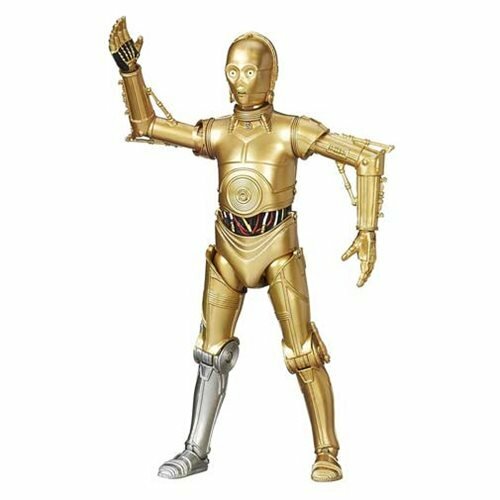 I appreciate that Disney used the best super-articulated build-a-droid tooling available, but a few months in to having this I wish they made something new, cheaper, and simpler because what the heck do I need ankles for on these guys? 5 joints would have been great, particularly given the dozens of combinations you can build from these parts. 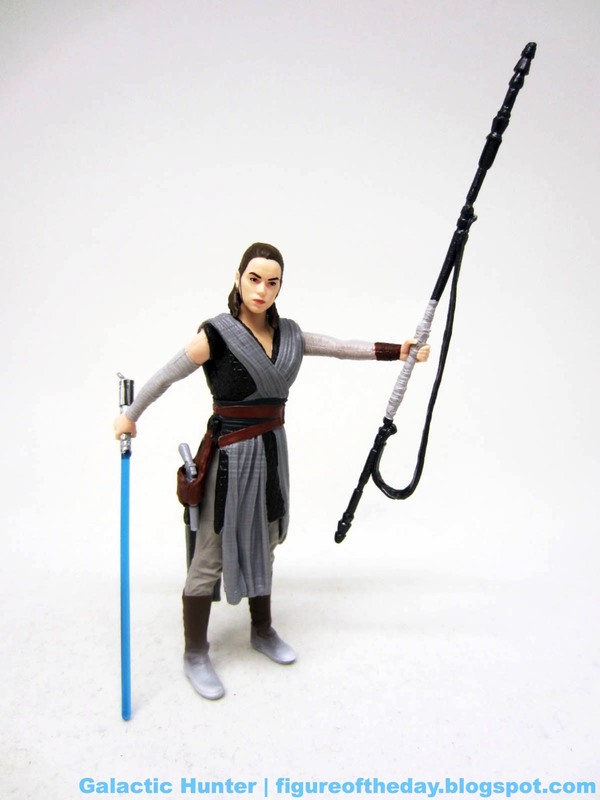 It's a good, sturdy figure with more articulation than any of the main characters in the main line from the last three movies, so... that's where we're at now. 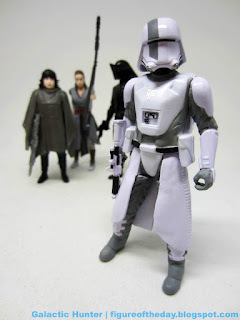 It's a great way to populate the bases they don't make or the vehicles nobody is doing, and being an "animated" figure it has less of a place in any existing collection. 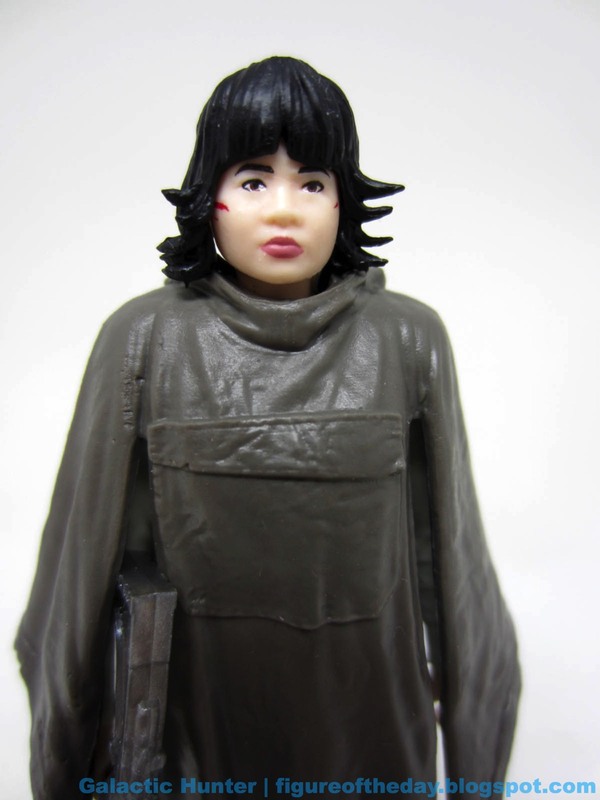 It's a cool souvenir, but it's solely for the crazy collector person. You know, like me. Collector's Notes: I got mine from Disney Hollywood Studios. Thanks Shannon!